You Can’t Buy Dave Ramsey’s Endorsement. You Earn It. 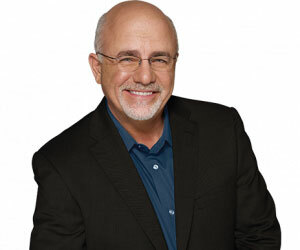 Dave Ramsey has cultivated a trusted reputation for advising people on how to make wise financial decisions and how to best protect their families in times good and bad. People all over the country look to him for recommendations for local companies that conform to a strict code of conduct, ethics and professionalism, so he created the ELP (Endorsed Local Provider) program. ELP’s are held to high standards from the beginning and the process to become an ELP is not an easy one. Becoming an ELP involves a thorough application and rigorous interview process, Dave’s team makes sure to select professionals who will truly work towards the client’s best interest, but it doesn’t end there. Even after being chosen as an ELP, the professional is required to maintain high customer service scores. Each customer is given the opportunity to review and score the ELP based on their experience thereby keeping the professional in check at all times. The Alliance Insurance Group, Inc. is a firm with a rich history that begins with a foundation of earned trust, integrity and hard work on behalf of our clients. It’s this formula that has helped us continue to thrive through the years, and we see no reason to change this philosophy moving into the future so it was only natural that Dave has bestowed upon The Alliance Insurance Group, Inc. the honor of being one of his ELPs. We are proud to continually maintain this level of excellence for the individuals that already trust to supply them with the insurance they need today to protect their world tomorrow. If you haven’t taken the time to sit down with us and see what we can do for you and your family or business, please consider scheduling an appointment today and let us show you the true benefit of working with a Dave Ramsey ELP. We assure you the experience will exceed your expectations!